Did you hear the news that country music singer Zac Brown and his wife Shelley, have reportedly told People Magazine that they are splitting up? 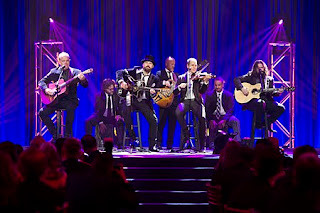 Zac, of course, is part of the Zac Brown Band, which has produced such hits as "Chicken Fried" and "Free." According to news reports, the couple, (parents of five children), has issued a joint statement announcing the amicable divorce. Here's hoping that both parties will continue to get along, as they continue to parent together their five children. As Augusta Georgia divorce lawyers, we understand how difficult divorces can be, especially where children and child custody are involved. Today, I want to talk with you a little bit about the importance of communication with your divorce attorney. In short, you should tell your lawyer everything that is important about your divorce case, even if you are afraid it might be unfavorable. Trust your divorce lawyer! It is better for your lawyer to learn about a potential problem in his or her conference room than later at a divorce hearing! In addition, it is also important to consider how and when to communicate with your divorce attorney. In other words, time is money, so, you usually don't want to call your divorce attorney about unimportant things which will just waste your money and your lawyer's time. Of course, if something is important, please call your lawyer. Otherwise, you might also want to consider sending your divorce lawyer an email which summarizes whatever information you want to share, especially when an immediate response may be unnecessary. We are the Goolsby Law Firm, LLC, father and son divorce lawyers located in Augusta, Georgia. We blog about common issues in Georgia divorces and sometimes also discuss celebrity divorces. that both actors have moved on. For instance, various news reports indicate that Mr. Pratt is now spending time with Katherine Schwarzenegger. Celebrities are no different from anyone else. Following a divorce, celebrities must go on with their lives, just like everybody else! 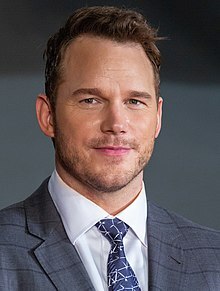 What is your favorite Chris Pratt role? Guardians of the Galaxy? Jurassic World? Parks and Recreation? As Augusta, Georgia divorce lawyers, we at the Goolsby Law Firm, LLC see divorcing couples at all ages and stages of life. Have you considered the special issues which confront divorcing couples who are over fifty years old? Today, I want to discuss just one such issue: potential loss of friendships. Put more simply, when you get a divorce after fifty, you may face a special challenge in that you may lose some friends who were friends of both of you while you were married. Those friends may find it difficult to choose between the two of you. Also, many activities work better between couples rather than between a couple and an individual. But there may be a positive outcome, too. I suppose you will at least learn who your true friends are! What do you think? 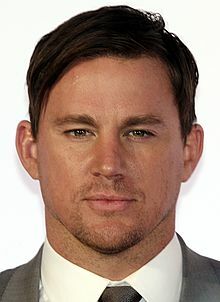 According to various news reports, including People Magazine, Channing Tatum and his wife, Jenna Dewan, are still spending family time together with their four year old daughter. The couple had previously announced an amicable split back on April 2, 2018. Here's hoping that the two parents continue on this admirable path of spending quality time together for the sake of their child! Find a good divorce lawyer. As for the last item on the list, we at the Goolsby Law Firm, LLC, would suggest that you talk with family and friends for recommendations about good divorce attorneys in your area. We also always recommend that you should make an appointment and actually sit down to discuss your case with a prospective divorce lawyer before you retain them to handle your divorce case. We at the Goolsby Law Firm, LLC also offer free initial consultations and will try to answer your questions about your Georgia divorce. This is a divorce-related blog written by the divorce attorneys of the Goolsby Law Firm, LLC, located in Augusta, Georgia. We offer practical information and tips for divorcing parties to discuss with their own divorce lawyers. We also sometimes discuss some of the issues which arise in celebrity divorces. 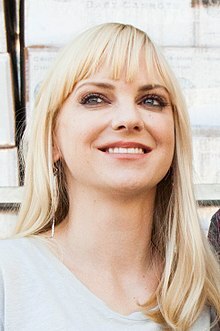 For example, we have already discussed the recent divorce between actors Chris Pratt and Anna Faris. Today, various news outlets have also reported that Ms. Faris is now selling a house she owns in the Hollywood Hills for $2.5 million. Celebrities, like others going through a divorce, often must deal with both splitting and disposing of both real and personal property. In other words, equitable property divisions are a common issue in Georgia divorces. We don't know the facts and circumstances surrounding Ms. Faris' property sale. But we do know that property division is an important matter for you to discuss with your own divorce attorney. The information in this blog is for general educational and entertainment purposes only. By using this blog site, you understand that this information is not provided in the course of an attorney-client relationship, and it is not intended to constitute legal advice, nor should you take any action or rely upon anything in this blog. You also understand that transmission or receipt of any information, or any correspondence, does not create an attorney-client relationship, and no assurance is given that any correspondence, via email or otherwise, between you and any author, will be secure or treated as privileged or confidential. Please do not send any confidential or privileged information. Should the reader need any legal questions answered, or legal advice, such advice should be obtained by you from a licensed attorney in your jurisdiction. This blog is also not intended to serve as an advertisement or solicitation of legal or other business, in any nation or any state, particularly outside the State of Georgia. The authors also do not intend or desire to solicit through this blog the business of anyone in any other nation or state where this web site, or the use thereof, may not be in compliance with any law or ethics rule. Thanks for the Award, Bob!